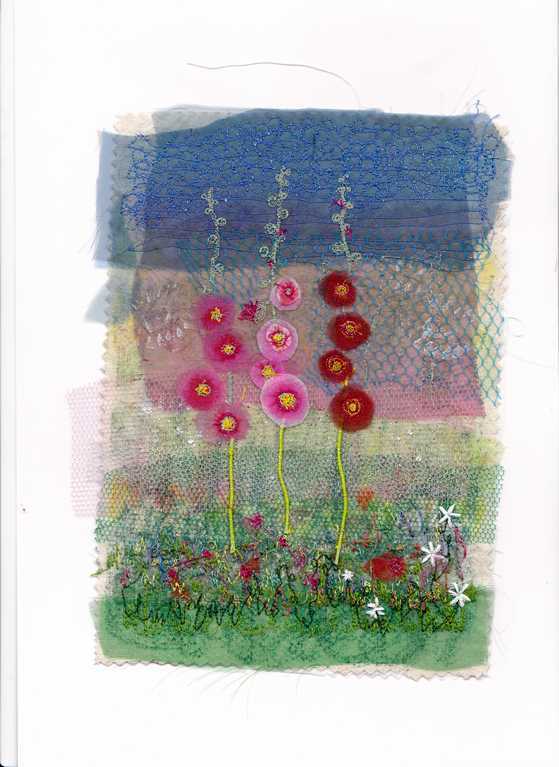 Collage of Hollyhocks, sample for workshop. - Textile Art by Marion Browning.B.A. hons.